For my daughter’s 5th birthday party she wanted a rainbow theme. I took that idea and went to town with it! For the rainbow birthday cake, I wanted to have a little surprise. 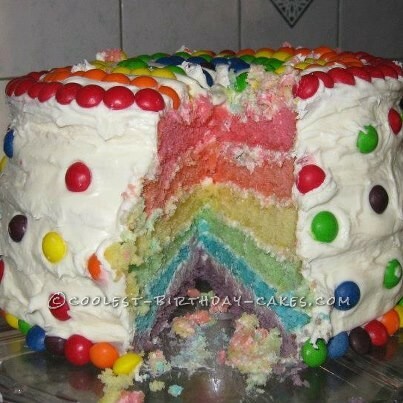 On the outside, it simply looks like a white frosted cake with rainbow M&M’s, but inside it was a six layer rainbow cake!. This cake took 2 cake mixes! That’s a lot of cake! I made the cake mixes and divided the batter into 6 cake layers. Each layer was then colored with a different color of the rainbow. They were baked and then iced and layered into the correct order of the rainbow colors. The kids were not expecting the inside and were in complete awe! 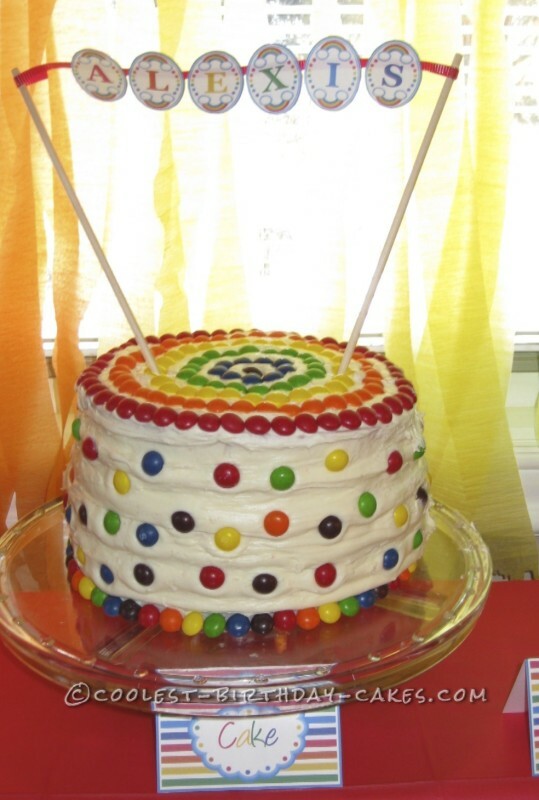 Perfect birthday cake for a rainbow birthday party!